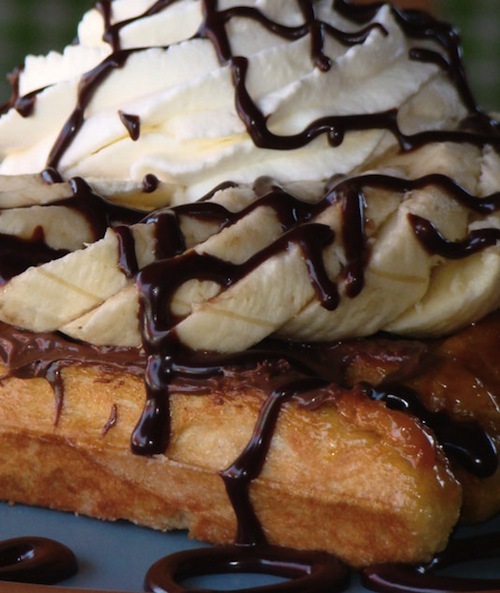 Nutella and banana waffle = better than peanuts. Ever been to The Waffle Window in Portland, Oregon? It’ll seriously change your life. We’re talking hot fudge sundae waffles, peanut butter and chocolate dipped waffles, and even waffle ice cream sandwiches. Yeah. There’s really no going back after a trip to The Waffle Window. But what if you’re only on a short layover at the Portland airport and there’s no time for a waffle run? That’s what happened to Theresa C., but she knew exactly what to do: she hired a TaskRabbit to bring her favorite waffles to the airport. Kate C. picked up the order from The Waffle Window, drove the waffles to PDX, and handed them off to Theresa without ever leaving her car. Have a layover coming up? What would you get delivered in Chicago? New York? London? Phoenix? Denver? Air travel will never be the same again. Previous PostMeet the TaskRabbit Team: SheShe H.